Lighting Diagrams – You want ’em? I've been playing around with the idea of providing lighting diagrams to supplement the write-ups of the band portrait/promo shoots that I do. The illustrations would include plan-views of the setups, including placement of the subjects, lighting equipment, modifiers, and so forth. All drawn with loving care in Adobe Illustrator. Would this be helpful for you? Let me know your thoughts and if you have any other ideas for features you'd like to see for portrait shoots. Great idea ! It would be truly helpful for many of us ! Is the Panda bear black and white? Of course would love to see diagrams. Lighting diagrams would be great! That would be great Todd. I always love to see how people lay out their lights for various shoots. It would be going above and beyond on your part but would really be a learning resource for everyone! If you got the time bro, it definitely couldn’t hurt your readership! hahaha. I think it would be very helpful to emerging photogs, and could also give you an online backup/notebook of prior setups…might be cool for both parties involved. That would be absolutly awesome! Go for it! It would be interesting to see, that’s for sure. I believe there is a site where you can drag and drop subject and light icons, and label them, and then export them as a JPEG file – might be quicker. It’s been awhile, so I can’t remember where, but it might be worth a google or two. That should take some of the hassle out of drawing them. And yes, I’d love to see them! yeah, it would be very helpful! you can write a lighting diagram of an older post as a test! Yes, Yes, Yes. Did I mention that YES I’d love to see some lighting diagrams. Hey all, thanks for commenting. It sounds like a slim majority of you would maybe be possibly interested in this, so I’ll see what I can do. While pre-fab illustrations would save time, I don’t think they look as good and they’ll be limiting in the long run. I’ll be drawing everything myself with an emphasis on plan views, but we might see some elevations, too, in the future (though that would require another whole set of equipment illustrations). @Alex, thanks for the suggestion about the height of the lights/modifiers, good tip. In the meantime while I get Illustrator fired up, please let me know if you have any suggestions for these lighting diagrams going forward. Yea. I’d love to see diagrams too! I’d sure love to see your lighting diagrams. Add my vote, Sensei Todd! Hand drawn lighting diagrams – seriously, how much talent can one man have?! Hey Stephen, thanks for the vote. I think Adobe Illustrator might be my favorite app ever. Yes, even more than Photoshop. I’ll be drawing up vectors for all the equipment I use. Of course, this means that when I get new modifiers and such, I’ll have to add them to the library. This might be a winter “slowdown” activity, though. To start with, I’ve got the D3, 14-24mm, and 24-70mm pretty much sketched out (D3 + 24-70 are the lead image), but I’ll see about throwing some mesh gradients on them. The lead image is very recognisably the D3 + 24-70 but some extra gradients would really set it off. Looking forward to seeing more! I would love to see some lighting diagrams. As a beggining concert photographer, any information would be greatly appreciated. I’m interessed in that for sure ! Would be nice, but a description of them (as you usually do) is enough, as it serves more as “inspiration” than to “copy” your (GREAT) work. Do you think diagrams would be overkill? Definitely. I still think you will be writing a book at some point. Yes Todd this would be great. Ive been wanting to get into promos, but sunset everyday limits my options. We need FLASH! Hej Todd, a simple hand drawn pen on napkin would be just as good. Old skool. What I could use is a snap of how you pack your Crump 7 mill with your gear as I’m trying to config mine to fit all of my stuff; the same goes with your lighting gear and carrying case – what you normally take with you on a shoot. this would definitely rock todd! i would be VERY interested in this for sure…. you know, i don’t really think i need to grow as a photographer… i’ll pass on the rediculously helpful tips. Another vote for diagrams. I’m too lazy to put them on my site, but seeing others do it might inspire me to follow suit. Oh yes, I’d love to learn that ! I would be interested in lighting diagrams for some of your portraits Todd! Todd this is a fantastic idea!!! Also, thanks to Sanjay, that is a cool resource and can help in in explaining and illustrating the lighting options that exist. This would be great to have. Been looking for good / easy ways to understand flash portrait photography! Todd, In addition to portrait lighting setups, the next time you shoot a show where you need/get to use some flash, it would be great to see a little diagraming of how you set that up. You get some really exciting performance images with flash, and I’d love to see some of your tips on positioning, settings, etc. 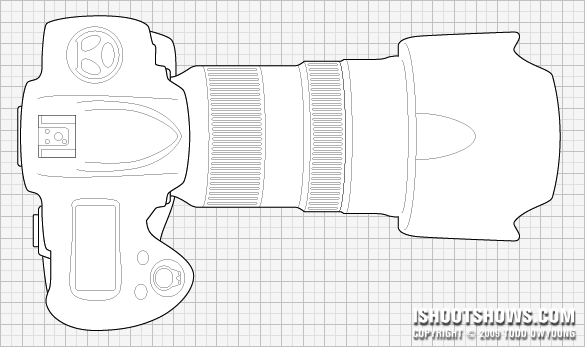 I plan on writing an article on flash with concert photography, but I will most likely keep diagrams to portraits-only. The lighting for live setups changes so much when I shoot. The article on flash for gigs will most likely cover general tips on use. Thanks for the suggestion. Photoshop Lighting diagram creator … very cool and maybe very useful for this. Todd, if you are still going to do the light diagrams, I have one suggestion. If you havnet already decided to, please include Camera setting with a test shot on what it looked like with the setting. Also what gear you are using, ofcourse.. Cant wait for the diagrams! Yes, diagrams, if possible. I know you’re a busy man! Man, where do I start? I want to shoot band portraits soon. Is there a kit available? I live in Honolulu, Hawaii and I’m looking for affordable/portable equipment. By the way, my camera is a Nikon D700. Any advice would be greatly appreciated. Thanks. I love the idea. This kind of thing would help me out with a few “known” approaches to show up on location with, and give me a foundation with which to play for altered looks. Thanks so much for sharing your knowledge and experiences. the diagrams would be amazing, especially to read how you placed your camera given the lighting setup. I stumbled onto your site today, and am eating up all your photo lessons. Any thoughts on a good book for an extended read on shooting concerts? Great site here! I have been following you for a while and really enjoy knowing there are people out there willing to help the newbies. I am shooting a band soon in San Juan Capistrano, CA. The band has 10 members. They are requesting that the photo be onstage (there are the typical can lights surrounding the stage), posed rather than performing. I would really appreciate your advice or suggestions. This is a genius plan sir. I look forward to your insight. This would be immensely helpful. Picking apart a photo can be very informative. But really knowing what the setup is, would be perfect. I wouldn’t expect you to give away too much though. Just the basics. It would indeed be very helpful. Pleaes and thank you. yes i would be very interested in seeing how you set up for a band portrait shoot. this info would be much appreciated. Just found your website. Love it! You are a Photography GOD! You can do it online with this interactive program. Definitely! I’d like to see the one for Dillinger Escape Plan band shoot. i would love to see ur lighting diagrams..it would help me a lot.. where can i see them?? Dear Todd, My name is Kabir & I’m from Dhaka, Bangladesh. I’m not a photographer that would dare to call his self as an amateur/part time photographer. I love photography & do it as an hobby. I have no academic or any kind of training on photography. I try to learn by watching photos of others & try to understand. I’ve seen your photographs & reviews & all stuff, it’s really great. My best wishes for you & hope to get updated info from you. I use CANON EOS 600D & learning by my self. Wish I could show you few of my photographs & have some advice from you. Thanks & best regards. I’ve been scouring the replies. Have you posted the diagrams somewhere? This would be nothing short of awesome. I’m trying to start portraits and studio work and lighting set ups to show how different set ups work would be just wicked! Yes please! I’m looking at starting my photography business and this is something I must learn & know! Absolutely! I’m in need of some new lighting ideas! I’d even pay for it!